Ripping around between the tape is one way to worship at the altar of speed but for all the other long fast rides or marathon races on technical terrain there's the all-new Epic Expert EVO. Consider it a more 'epic' kind of Epic. Ripping around between the tape is one way to worship at the altar of speed but for all the other long fast rides or marathon races on technical terrain theres the all-new Epic Expert EVO. Consider it a more epic kind of Epic. First off the EVO ups the fork travel from 100mm to 120mm. This gives you some relief up front while also slacking-out the front-end by one-degree to 68.5º. Specialized added a zero-offset dropper post to give you more control on descents but this design keeps your saddle over the BB on steep climbs. Specialized also put some meat on the tires with a grippy 2.3 Ground Control at the front and a stiffer Fast Trak at the rear with GRID protection at the sidewalls. The Epic EVO also features our Brain 2.0. The OG Brain changed the way the bike world looked at suspension and oh was it good. It won races and put a flag in the ground for us as a true leader in innovation and suspension development but we knew that we could make it better. Simple physics told us that by moving the Brain closer to the rear axle it would be in the most sensitive spot. It reacts seamlessly to bump forces it has much more consistent damping performance and finally it integrates the hoses into the suspension links. This means that the oil paths are improved and that creates an incredibly sleek package that outperforms anything on the market. This is also among our first Rider-First Engineered™ MTB frames where the tubes place complex carbon pieces in all the right places regardless of the frame size. As a result stiffness is increased in the front-end for a vast improvement in the ride and in control. A FOX Step-Cast 34 Performance Series fork handles suspension duties up front with 120mm of travel and a GRIP damper that has Open Medium and Firm modes for every kind of terrain. The hand-built Roval Control Carbon wheels feature a modern 25mm (internal width) hookless rim so you get the low weight low rolling resistance and the best possible grip with the 2.3 tires. An X-Fusion Manic seatpost brings you some much-needed drop for tackling steep descents but it also features a zero-offset design that keeps your weight over the bottom bracket for the climbs. 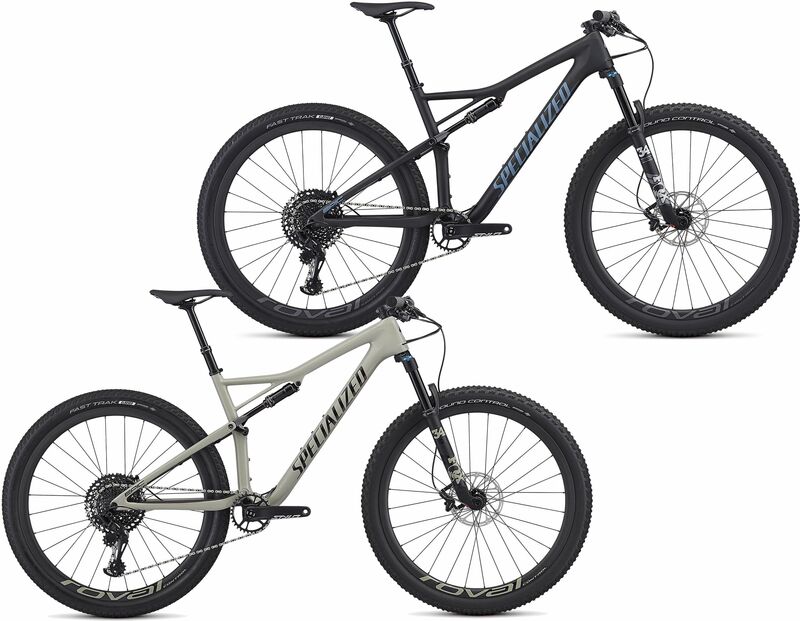 Please see below for delivery options for Specialized Epic Expert Evo Carbon 29er Mountain Bike 2019.